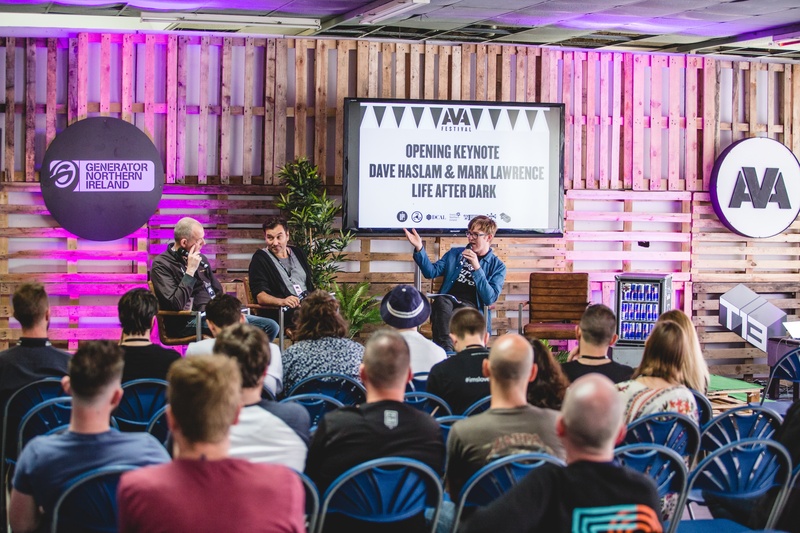 AVA Festival took place June 4th in Belfast, Northern Ireland to a small, but enthusiastic audience on the old Titanic docks and in a lit up warehouse. The stunning industrial setting reflects the electronic music that echoed across the quay all day long. For the festival's second year, they've built a strong reputation streaming live with a Boiler Room stage and hosting an extra stage this year. 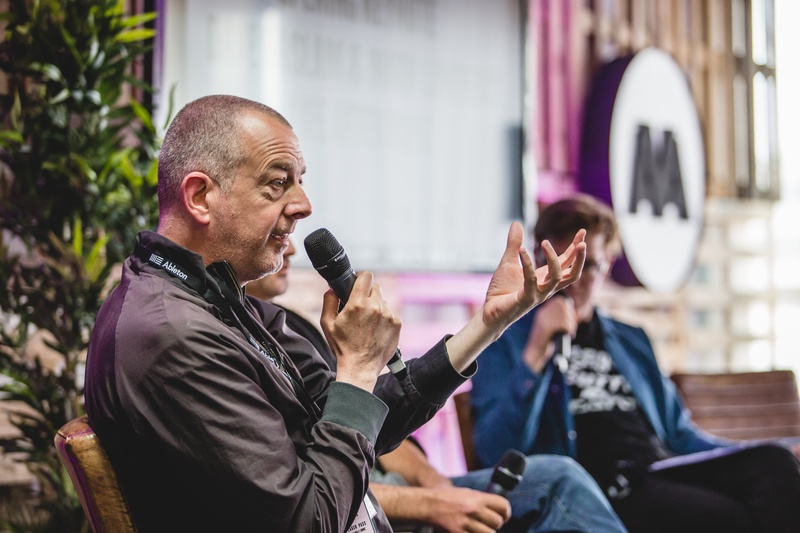 There were several conferences early on by leading professionals in the industry, who gave their own ideas on serious topics relevant to the music industry. To really understand the knowledge shared at AVA Festival, EARMILK's review will attempt to analyze the five different talks dealing with certain issues like club culture, live sets, and women's rights. 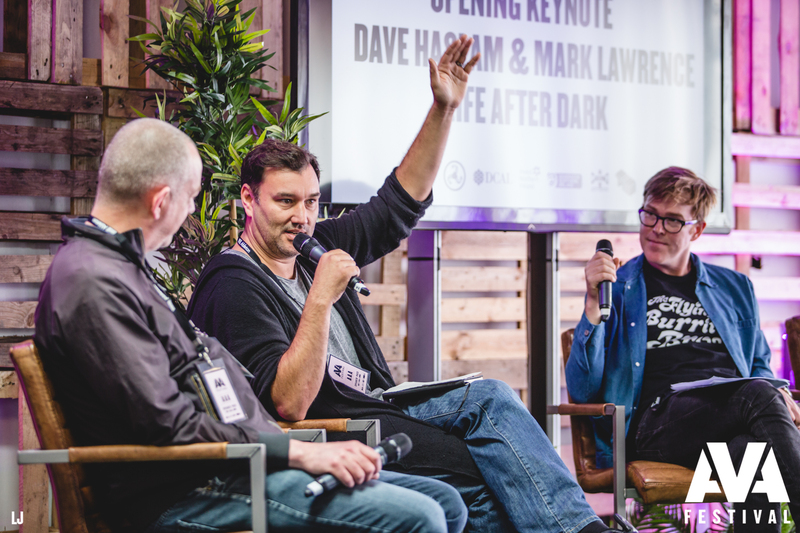 Mark Lawrence and Dave Haslam lead the keynote discussion primarily based the underground scene of club culture. Lawrence is chief executive of the Association for Electronic Music, a non-profit organization that protects the rights of artists, labels, clubs, tech firms, media, etc. Haslam is a journalist, DJ, radio host, and has recently written about British music culture titled, Life After Dark: A History of British Clubs and Music Venues. Their knowledge is extremely important to the development of the entertainment industry. The capacity limits between festivals and nightclubs is not solely an economic difference. There are nightclubs that have given birth to new genres, which is near impossible to find on large scale productions because the motivation for creating a scene is lost. The underground was consistently mentioned as the starting setting of electronic music in places like Detroit, Chicago, Berlin, and other industrial cities. Once the scene entered the mainstream mindset however, there was a gentrification to make music louder, brighter, bigger, than ever before. Now there is an emergence of globally branded events, where the name carries more importance to promoters than the actual experience being authentic. In turn, this leads to huge-production massive-budget festivals, which results in the same 5% of A-list DJs on every lineup to bring in more money. The club scene suffers from the growing festival culture, because they cannot compete financially with the production gear, booking costs, capacity, etc. In certain cases, festivals make artists agree to not play anywhere in the surrounding area for months leading up to the festival. What Lawrence wisely points out however is that this is not necessarily a negative reaction, we do not need to retrace any steps. They summarize by explaining how the underground needs to respond to the large scale production by finding alternative venues and highlighting emerging artists more. There is a critical need to rebuild the scene from the group up. The second conference was presented by Bicep, a duo of Andy Ferguson and Matt McBriar, both originally from Belfast. Bicep run their own label, Feel My Bicep, and have a significant following in Ireland. They talked about their transition into a live set and the new DJ equipment they use. One key critique to Bicep's talk was explaining why DJing can be a visually static show on stage behind a laptop. Yet there are many musicians trying to change that outlook in creative ways. Bicep is moving towards a completely live set, by switching away from software towards hardware and analog synths on stage. They feel there is more to watch by giving the audience a unique set for each performance. However the duo are still completely new to the transition, since AVA was their second time ever playing a live set. Bicep explained some of the struggles with playing a live analog set, such as packing up equipment in multiple cases and constantly having to bring gear out of the studio. Yet the weight of instruments should never outweigh the joy of playing music for people. Bands bring instruments around all the time, so the complaints were loosely taken. What is important about Bicep's new approach is that it's pushing electronic music outside of the static box it can remain in because of commercialization. The answer to playing an entertaining DJ set should not rest on the extra lights, but needs to be a new technique of musical construction and deconstruction in various live settings. Playing a live set Bicep says pushes DJs out of their comfort zone, which is important to grow musically. One of the most interesting conferences was regarding women in the music industry and gender roles that are made through society. 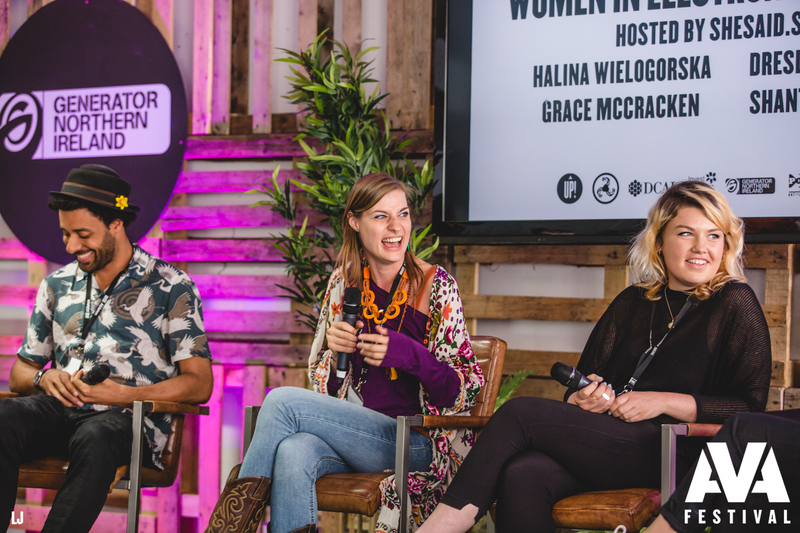 The discussion was curated by Halina Weilogorska, a founder of the site shesaid.so, which aims to unite women in the music industry. The panel consisted of Lizzy Bowman from Red Light Management, Shanti Celeste who works with BRSTL and Idle hands, Marcus Barnes a frequent writer for FACT Mag and Thump, and Dresden Leitner, a press representative for BigBox London. Their dialogue centred around issues that minorities face in a profession that is run mostly by men. The press sphere is seeing an increasing amount of women who facilitate management and create long-term professional relations. Yet although new jobs are opening for women, the gendered roles of male DJs and female managers is still sharply defined. There needs to be a way of breaking social limitations present for both sexes, without necessarily disrupting everyone's love of music. Women particularly are in need of female mentors to offer advice and openly break stereotypes. However, music as a communication tool to address problems of gender roles has been used effectively before, such as with Joan Baez or Lupe Fiasco. Even the journalistic side of the music industry suffers from a lack of diversity. EARMILK has always encouraged a multicultural mix of writers, which is what makes the platforms music discoveries so strong. Yet on a wider scale, there is a hegemonic amount of European and North American music dominating the public sphere. In conclusion, the speakers agreed that a new cultural approach of encouraging women and men to be comfortable with their music and ideas is the best solution. The best method to support artistic diversity is through funding of alternative events. 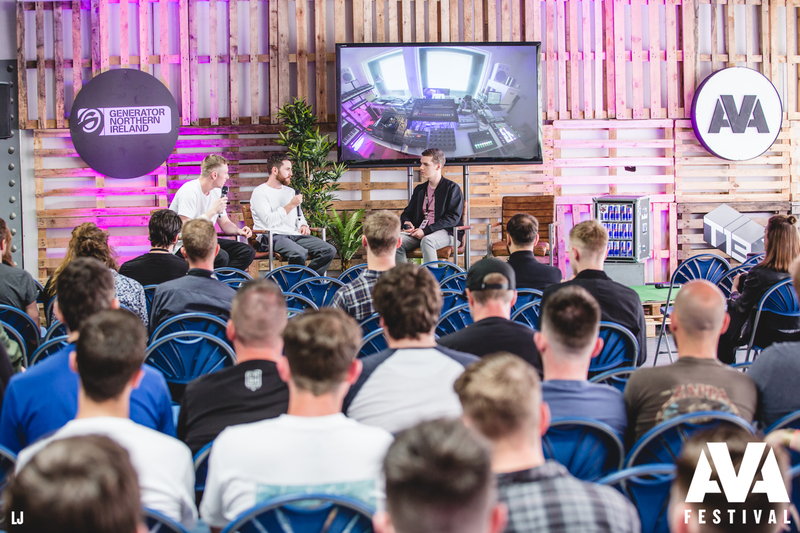 The fourth conference saw a group of label managers, press representatives, and A&R bosses, explain how to get noticed as a musical producer. One key point agreed upon by all the speakers is for email approaches to be personalized, to the point, and punctual. No one wants to read a generic shot in the dark email, people want to feel like the artist is making a personal attachment, even if it's not directly from the artist. An important piece of advice that all the group members agreed upon was that artists should be making an attempt to have their music being heard or seen by people who care. That means getting out in the real world and meeting influential people who may aid you further. Whether it be a DJ looking for fresh music, a radio station needing material, or a commercial purpose. The keys to success are not what you know, but whom you know. The best advice is to work on oneself to a state of confidence before sharing one’s project elsewhere, where feedback becomes crucial to further development. Surrender yourself to the raw opinion of others in order to alleviate your own creative understanding. Whether the forfeit of one’s ego is best done individually or with help is another matter. The speakers addressed when hiring an agent is best fit for one’s career. There seemed to be some incongruity between each answer, although there was agreement around the time that an artist starts to get noticed by labels, they should get a manager to help organize bookings. 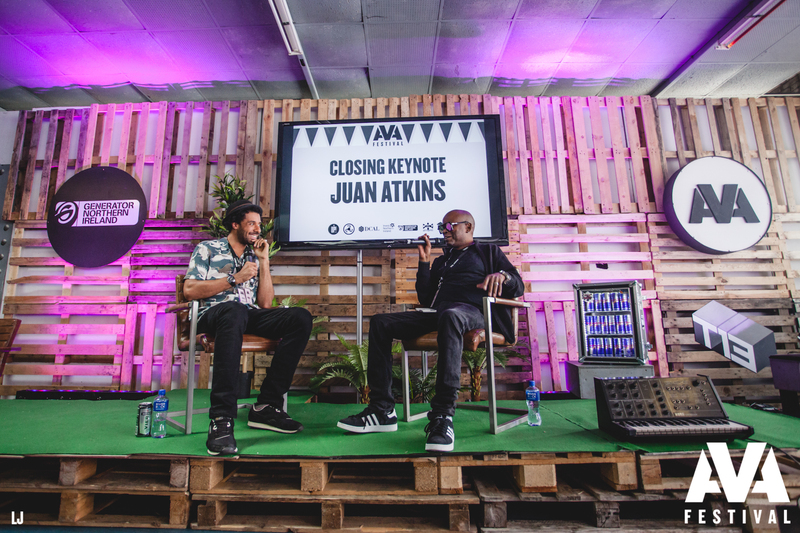 The final speaker, Juan Atkins, brought in a full room of young and old house enthusiasts who were eager to hear the legend for over an hour. Marcus Barnes led the interview for ID Magazine. The conversation starts with Atkins explaining his first record being “Alleys of your Mind”, which came out through Electrifying Mojo’s label, Deep Space in 1981. Electrifying Mojo was a major name in the Detroit scene at that time, which is important to understand the building blocks of Atkin's successful future. By having his name start to be attached to a larger frame of reference he began to build a career as a musician. Although Atkins is a founding figure in the creation of techno music, he explains how his inspiration came from P.funk. Otherwise known as Parliament-Funkadelic and formally known as George Clinton, the New Jersey producer made groovy beats that have helped shape the development of electronic music. Major influences can still be heard in the mainstream pop music today. Someone from the crowd turned the discussion to Detroit in present day by asking about the poverty stricten American town and how Atkins is helping. Intitally the question seemed quite controversial, but Atkins answer showed how playful and yet serious he truly is. Atkins is working with a new school named Spin Inc. in the city, which is helping youth build a musical career through learning essential production skills. His intention is to see a long-term increase to the city’s economy, by starting with an upcoming generation who can reclaim the music scene. Atkins also aims to attract other inspiring musicians from outside Detroit that will see the beauty of his home, ultimately changing the negative representation. 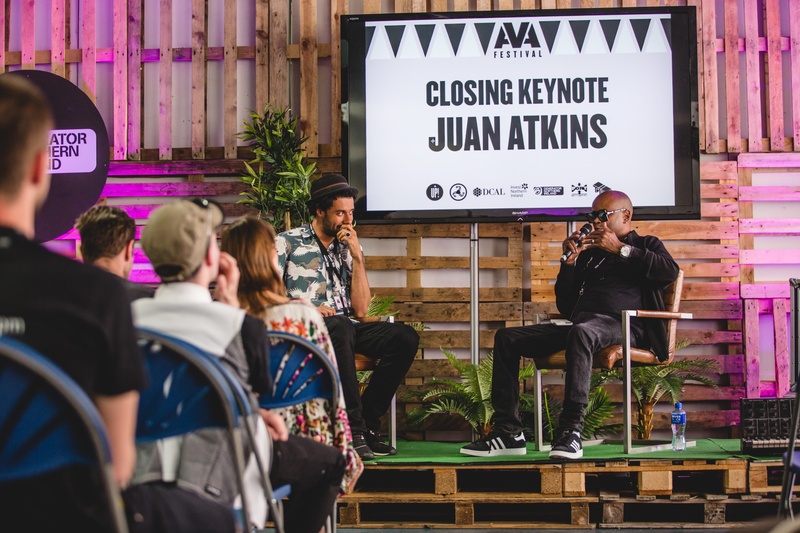 In just it's second year, the AVA Festival was an extraordinary occasion in Northern Ireland by bringing in a major lineup of musicians and speakers alike. The small scale / big scene festival is an exact answer to the issues that Lawrence and Haslam spoke about. 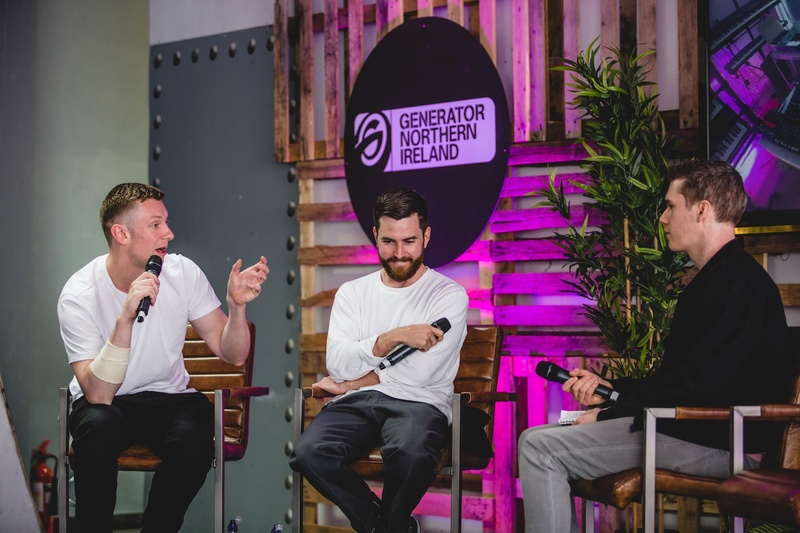 Creating a festival in Belfast’s Titanic quarters reinvents a barren space into an exciting arena to help inspire and showcase global talent. The festival’s bookings, such as Bicep, Mano Le Tough, LOR, Optimo, Shanti, Phil Kierans and others reflect a grassroots strategy to bring the underground acts to a niche crowd. AVA’s initiative to create an educational and well-organized event for upcoming artists and industry leaders in a communicative environment is unmatched. Sarah McBriar has built the scene in Belfast to harbour new ideas in an exciting way. Her rapid progress is a crystallized reflection of larger changing gender roles. AVA provides a multitude of voices from all areas and backgrounds a chance to be heard on a local and global stage, through Boiler Room’s collaboration. The festival industry is in dire need of new direction and intimate occasions like AVA are the solution. Deep House · Event Review · Main Stage · Opinion · Techno · U.K.